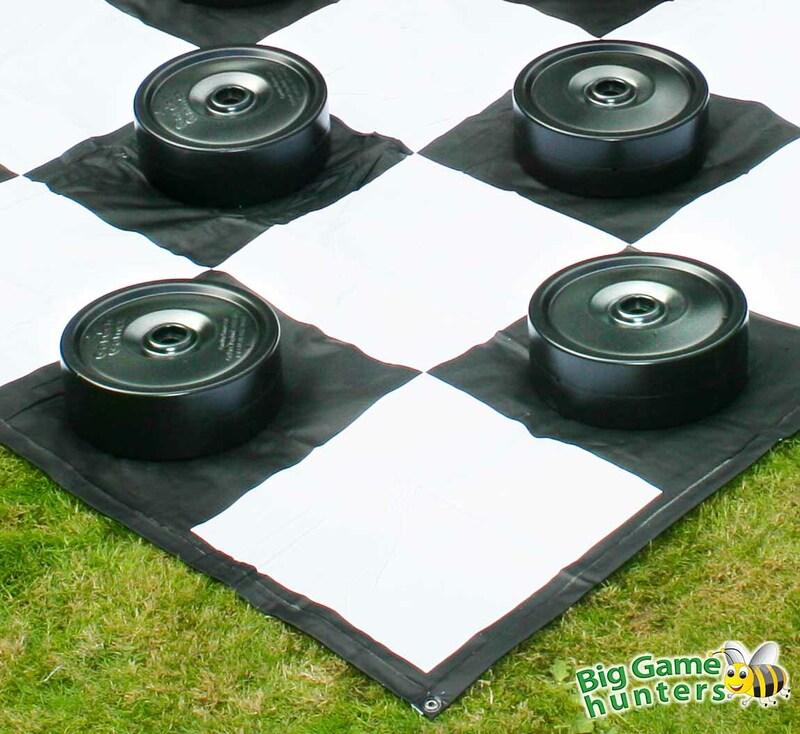 Giant Draught Pieces are an outdoor version of the table-top classic. Perfect for hotels, schools, pub gardens and at home! 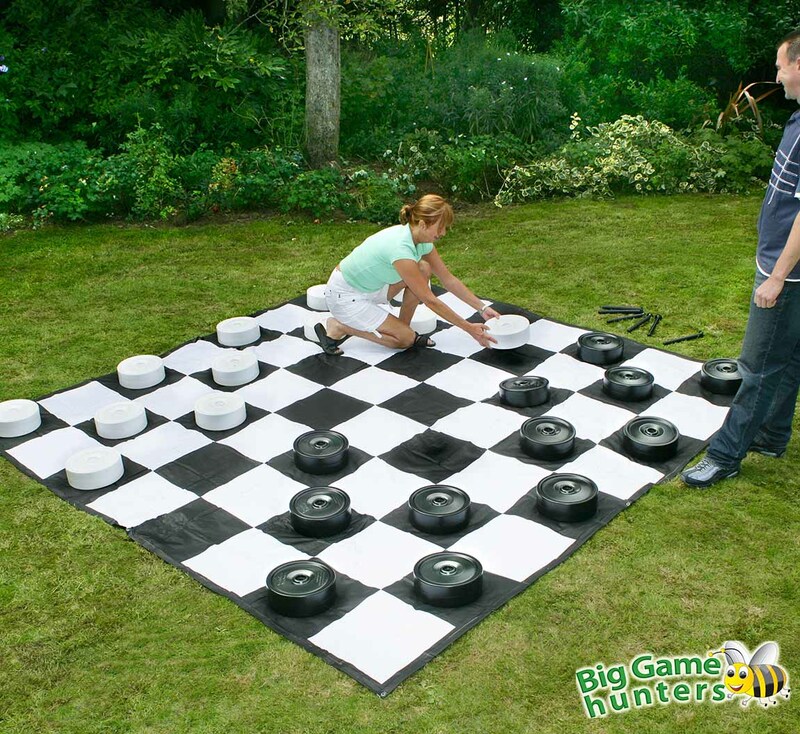 These Giant Draughts make a stylish addition to any garden and bring fun to family gatherings and events. The pieces are made from UV treated PVC meaning they're robust, weatherproof and their colour won't fade. Each individual draught is sturdy weighing 344g and measuring 25cm x 9cm. Both checkers and draughts can be played with these pieces. 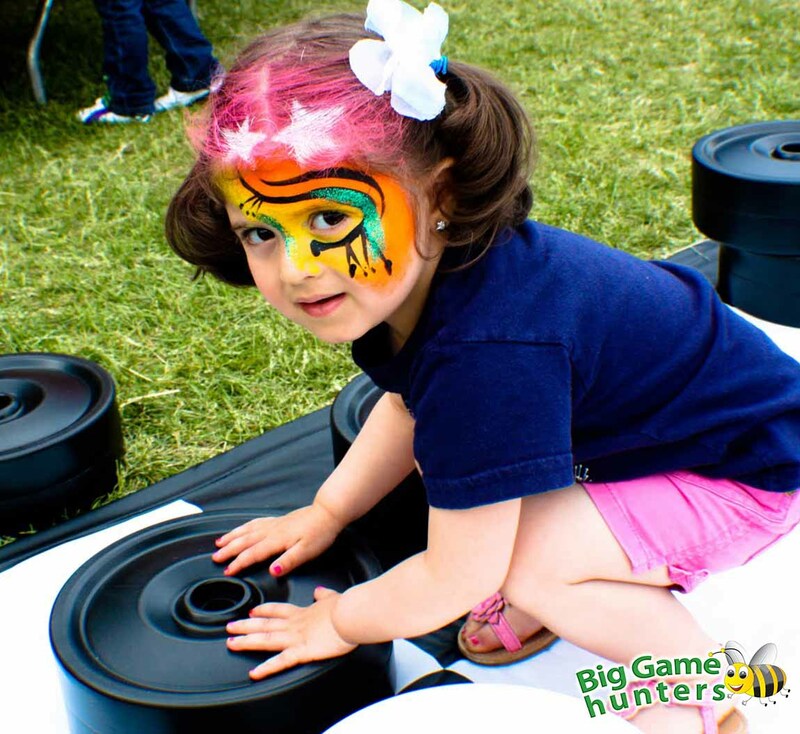 Play on either one of our giant mats or boards; these are available for purchase separately. 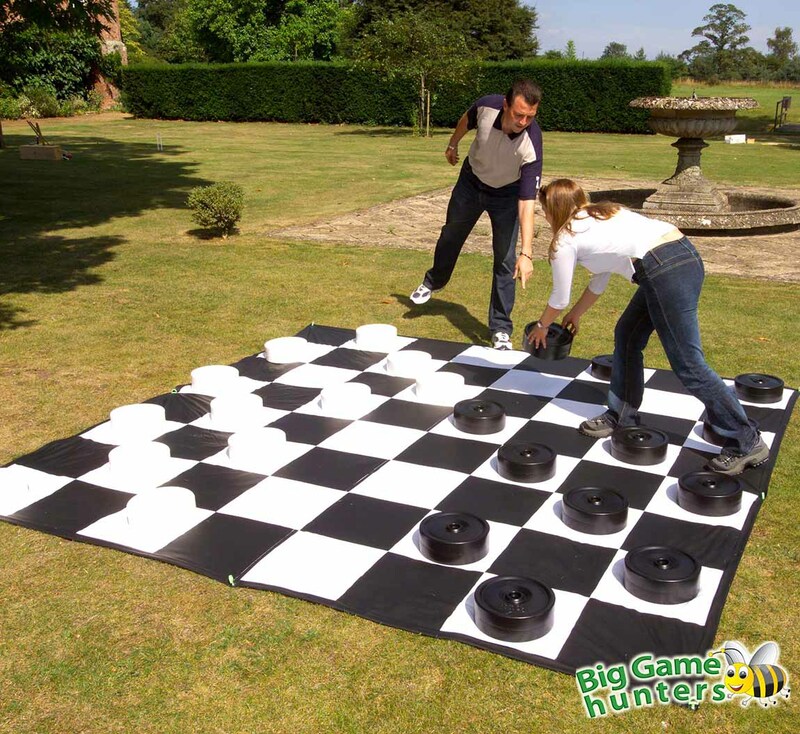 Take Draughts or Checkers as we know it to a whole new level. Use strategy and skill to defeat your opponent. This giant version makes for a much more exciting game. 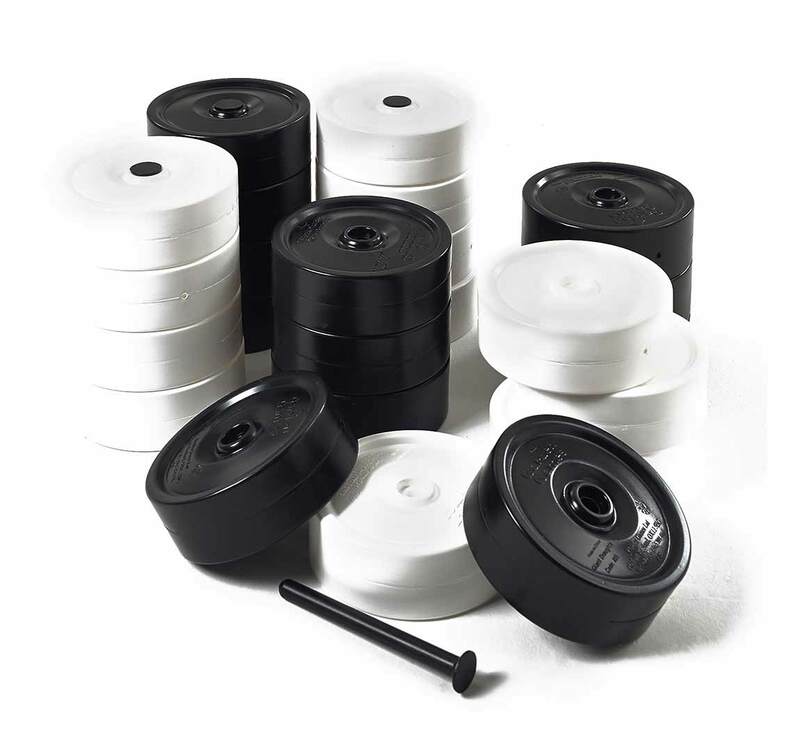 Garden Draughts can be queened with a central movement rod for ease of handling. The UV treated draughts can be left outside without concern for weather.